RaceCoach.net was founded as a result of the glaring problem with most professional race coaching: it only worked towards making drivers fast in a specific car or on a specific track. 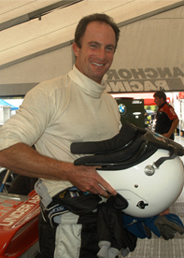 RaceCoach.net’s founder and chief instructor, Dave Scott, spent many years racing professionally in Grand Am, World Challenge, and ALMS, in addition to a variety of amateur and club racing organizations. He watched as a few racers seemed to prevail in any car, on any track, and in any weather, and distilled many of their secrets into a detailed, organized coaching program. RaceCoach.net has grown into a group of affiliated top-tier professional racing and driving coaches who work one on one with clients and also as a focused team, anywhere in the world. Some of the coaches Dave has teamed with to deliver high level race coaching include Seth Thomas, Tommy Archer, Patrick Long, Kuno Wittmer, Cory Friedman, Larry Herman and Chris Cervelli. Copyright © 2010 RaceCoach.net All rights reserved. Caution - Racing is inherently dangerous. Always observe your state and local laws when operating a motor vehicle.